ROAD TOWN, Tortola, VI – A mother’s distress and maternal bindings are allegedly being stretched to its full length of pain as she says she has been denied any opportunity to communicate or visit her 12 year old daughter Siriena Wharton since her safe return to the Virgin Islands. According to the distraught mother, Ms. Jean Wharton Cato-Matthias, she was informed by a Juvenile Officer attached to the Royal Virgin Islands Police Force (RVIPF) yesterday afternoon, January 23, 2014, that her child was back on the shores of the Territory from around 3:15pm. “That was the last I heard from them and am still awaiting a call to say that I can get to at least see my daughter but everyone is speaking to me in a mocking manner as if I am such an unfit mother but the truth is not told yet,” she said. According to the woman, her worse nightmare began when she was informed that the child will remain in the custody of the state through the Social Development Department. “They are the criminals and I am prepared to speak out about what is going on there because the system has been failing me when I am to be turning to them for help and guidance, they are failing me,” cried the hurting woman. “I am going to work today and I will be glued to my phone, it would be hard for me to focus but I have to maintain my job because it was more than ten years that I hadn’t a job and now have one, I cannot eat because the food not going down because I am grieving and hurting about all my children,” she added. Ms Cato-Matthias has promised to keep this news site informed of the developments as they occur. Contact has since been made with the Public Relations Officer of the RVIPF Ms Dianne Drayton who is expected to respond in short order. Contact with the Social Development Department could not be made up to post time. ROAD TOWN, Tortola, VI – “I am at work right now patiently waiting for them to call me to go and see my child,” said an obviously emotional, Ms. Jean Wharton Cato-Matthias after receiving word that her 12-year-old daughter Siriena Wharton has been found. In a state of some level of relief this morning January 23, 2014, the mother told this news site in an exclusive interview, that sometime after 5:00 p.m. yesterday January 22, 2014, she had received a call from the Juvenile Department of the Royal Virgin Islands Police Force (RVIPF) informing her that little Siriena was found in St. Thomas. 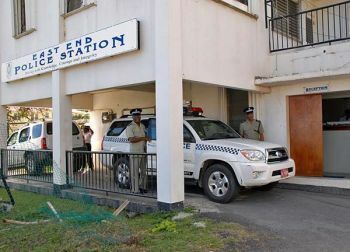 The child she said, was kept in Police custody overnight and still remains there as she was told that the RVIPF are conducting some investigations. “I am relieved to an extent now that they found her and am just waiting to see her." Public Relations Officer of the Royal Virgin Islands Police Force (RVIPF) Ms. Dianne Drayton has also confirmed that Ms. Wharton has been found in St. Thomas yesterday and will be returned to the Territory after investigations. She also took the opportuity to thank the public for their assistance in locating the child. 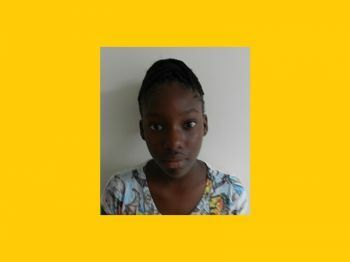 "The missing 12-year-old girl was located in St. Thomas late yesterday and is now in the safe custody of the Virgin Islands Police Department (VIPD) Juvenile Detention Centre. Both the VIPD and the VI Human and Social Services are presently conducting investigations before her return to the BVI. We are grateful for the public's assistance," Ms. Drayton told this news site. Prior to receiving the news, Ms Cato-Matthias had poured out her heart about the challenges she has been facing with her daughter and her desperate desire for her to be found and reunited with her family. “We all have our challenges in life, dealing with my daughter may be mine but everyone has their own and I can care less about what the man in the street and the bloggers are saying,” this was the painful expression of the mother. On Monday, 13 January 2014, 12-year-old Siriena Wharton, who resides in Old Plantation, was reported missing. Police were informed then that she was last seen on Thursday, 12 December 2013. A missing person enquiry was started by the Major Crime Team which followed leads in the Territory and the USVI. In an exclusive interview with Virgin Islands News Online, the mother, Ms. Jean Wharton Cato-Matthias of Old Plantation said that she is sick of all the bashing in the media about her situation as she feels the focus has been lost and alleged that her information was not put over accurately in some sections of the media. She, however, admitted that over the years she has been struggling with her daughter’s alleged delinquent behaviour. “One thing I want to make clear is when my daughter went missing she was not in my care, she was not living with me then,” alleged the woman. She said that the day that the missing report was made was when she was confronted by a female friend who told her that the child was seen entering a small boat bound for St. Thomas. “The woman told me she saw here and asked her what she was doing there and she said Siriena said I gave she her passport to go and get it renewed in St Thomas,” said Ms. Wharton Cato-Matthias. The mother said that it was only yesterday that a member of the Juvenile Department and the Royal Virgin Islands Police Force (RVIPF) collected the child’s expired passport and other legal documents and hers as well. Ms. Cato-Matthias said when she had confirmed that her daughter had indeed ran off, she went to the East End Police Station where she alleged they only took a verbal report did not make any documentation. “They didn’t take me seriously,” she further alleged. The woman said that she has five children of which Siriena is number three. All her children were removed from her care. “They have my children all over and I am living alone, I am lonely without my children and I need them, I need help,” said the woman as she continued to stress that she loves her children and wants the best for them. A release from the RVIPF yesterday had indicated that there had been an overwhelming response of support from the public interest in the quest to finding the missing 12 year old since it was made public. Thank goodness she is found. My question is WHO IN THE HELL TOOK HER AND HAD HER? When the U.S. finish conducting there investigation, we will all know then. This had to be a very low life person up to no good who did this. Even if someone found her walking the streets over there, they would have called the police. She is distraught now that she has gotten news that her child is alive and well. but... where was her distraught when she didn't know where her daughter was for an entire month before she reported it??????? That is the One Hundred Million question, and the mother and grandmother needs to answer for that.You do not get in to the US without your parent or guardian if yo under 18. 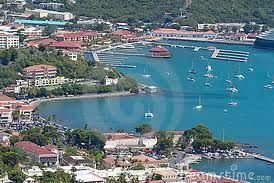 Apparently she did get in St. Thomas some how and lied to her step father about it. hope this is NOT child neglect. both the mother and the relatives in Rock City need to answer some hard questions!!!!! My heart and prayers are with this family. It seems like they are going through a very difficult time and need help on several different levels. All her kids removed except this one, who keeps running away, but in her words, the child has a problem and needs help, she doesn't have a problem and need help. And we are surprised? Glad she was found safely. Until yall get off this holyier than tho bull. Yall behind the scenes folks will always be condemning people. The lady and her child needs help..what is the use of the million dollars church and youth centres if they cant go out in the communities and seek these kids out.....I pray that as a family they see God...Remember a family that prayers together stays together...calling out the youth groups in her community. ..
process of healing can begin. Whoever frustrating this mother WILL pay!!!!!! Vengeance is mine, I WILL repays says Jehovah. It has a lot of evil and wickedness going on right here in Tortola!!!!! Them taking mothers' children from them and creating issues for these mothers who are trying their best! But God Almighty up high in the Heavens and looking well low upon the wickedness and injustice on this earth. Them going to the courts and black labeling innocent mothers putting them on medication saying them "crazy". And it got some fathers who have done wickedness and evil to their wives / child mothers and up and down scandalizing the innocent wives / mothers names, but God WILL deal with these kinds as well. Whatever a man is sowing he WILL reap! Sow evil reap evil and sow good reap good. You know who you are. According to the report, "... the day that the missing report was made was when she was confronted by a female friend who told her that the child was seen entering a small boat bound for St. Thomas. “The woman told me she saw here and asked her what she was doing there and she said Siriena said I gave she her passport to go and get it renewed in St Thomas." The female friend should have asked Jean about giving the girl the passport the same day she saw the girl get on the boat. Why would she ask her the same day? What's suspicous about renewing a passport? It only matters now that she was reported missing. DUHHH! People here are so stupid and just hate reading. Anybody can get to/from St Thomas without clearing with the authorities. They're open islands in a place where boating is prevalent. Get off it man..
Until u could walk a mile in someone else shoes u can't judge them. It appears that this family have some hard questions to answer and some major issues to sort out but something needs to be done. Thank God for mercies! f the That Siriena has returned alive! Many go and do not! Also that Jean (Mother) is seeking help.! However long it's taken, she is crying for help. Help her somebody please! Counsellor's, Psychologists, professionals get working and let us see what positivity can come out of this! I have been in the profession for over 20 yrs and have seen results when we are all singing from the same 'hymn sheet'. Let's work together and help the children, as they are all a blessing from the Lord! the real question is, was she really missing? Something is seriously wrong. How come this lady has 5 children and none of them are living with her? something is not right here with this picture. I am not bashing her but has she shown love to these children? at least one or two should have still been at home, but NONE? SOMETHING IS WRONG MOM! I smell a rat in this? people the child is home safe and sound why still the fuss? Who r u 2 judge? Ma'am please stop talking to the press. You are only compounding the issue by doing so. Seek counsel and handle the matter privately. It is better to keep your mouth closed and let people think you are a fool, than to open your mouth and remove all doubt. Darkness does not like light. She went to people on a one to one basis who could have helped her. Did she get help? Would you like if you were down on the ground for someone to kick you? Have you ever thought that this was her only alternative? Why not personally pray for her or call on all members of this BVI community to pray for her? Ms Wharton you are not the only one this apparent evil has befallen. Praise, praise, praise Jehovah God Almighty that you are now working. Pray for ALL your five children and then give him many thanks for their return to you even before you see it. Pray, believe and wait (endure). Pray for your persecutors too, and ask God to help you to love them (your persecutors) and forgive them. Pray for their best. Be strong in Him (Jehovah). Don't Give up!!! See Luke 18: 1 - 8...the widow and the unjust judge. If I and others could only get your number to encourage you at this time. Please send to news site. Don't return evil for evil. Jehovah says vengeance is His and He says to keep conquering the evil with the good. So when people do you evil, just smile and return good to them!! t she was missing in the first place? Am I the only one who think this mother is seeking her 15mins of fame? You all have not given the poor mother and child a break!